The Baldwin Sectional by Haley Jordan at John V Schultz Furniture in the Erie, Meadville, Pittsburgh, Warren, Pennsylvania area. Product availability may vary. Contact us for the most current availability on this product. This sectional will create a perfect gathering space in your living or family room. 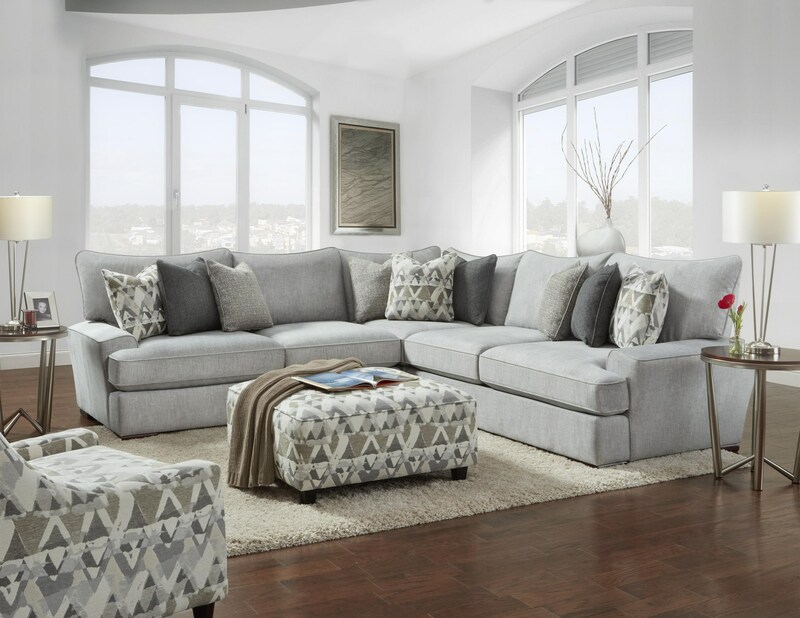 With slightly flared track arms, loose pillow cushions, and 9 Toss Accent Toss Pillows, the sectional keeps it casual while maintaining a clean design. The sectional is comprised of a left arm facing sofa, a right arm facing sofa, and a corner piece connecting them. The Baldwin collection is a great option if you are looking for Contemporary furniture in the Erie, Meadville, Pittsburgh, Warren, Pennsylvania area. Browse other items in the Baldwin collection from John V Schultz Furniture in the Erie, Meadville, Pittsburgh, Warren, Pennsylvania area.